Fittingly, the last Test series of the 2013-14 season is also the most eagerly awaited. And for a change, it is not a two-Test rubber. Australia v South Africa has probably produced the most hard-fought cricket ever since the latter’s readmission into the international fold, and expect it to be no different this time. The series will commence with the opening Test at Centurion’s SuperSport Park from February 12-16. The St Georges Park in Port Elizabeth will play host to the second Test from February 20-24, while the final game will be contested at Newlands in Cape Town. Australia have played only once at Centurion, when they lost by 8 wickets in 1996-97. At Port Elizabeth, Australia have three wins and two defeats from five Tests. At Cape Town, the visitors have a formidable record – nine wins and three defeats from 12 Tests, although South Africa have won the last two encounters at this ground. For South Africa, Centurion has been a fortress – they have 14 wins and just one defeat in 18 Tests played. Cape Town has been a favourite too for the Proteas since readmission – 18 wins and three defeats (all against Australia) in 26 Tests. South Africa – Graeme Smith (capt), Hashim Amla, AB de Villiers, JP Duminy, Faf du Plessis, Dean Elgar, Rory Kleinveldt, Ryan McLaren, Morne Morkel, Wayne Parnell, Alviro Petersen, Robin Peterson, Vernon Philander, Dale Steyn, Thami Tsolekile. South Africa’s biggest challenge will be to cope with the retirement of Jacques Kallis. The legendary all-rounder was worth two world-class players for skipper Greame Smith in the past decade, and his boots will be impossible to fill. The most likely new No.4 is Faf du Plessis, who has shown enough temperament to be worthy of that slot. From the squad which beat India in December, leg spinner Imran Tahir misses out, while fast bowling all-rounders Ryan McLaren and Wayne Parnell have been brought in. The Proteas have been by far the best team in the world for quite some time now – they have not lost a single series in the last five years, a feat few teams have achieved over the years. They undoubtedly have the best pace bowling attack in the world, with Dale Steyn, Vernon Philander and Morne Morkel forming a deadly trio. Add to that a batting line-up reading Hashim Amla, AB de Villiers, Smith and du Plessis; and you see why South Africa are the world champions. The Australians can be expected to go after spinner Robin Peterson to get some quick runs. Smith has now served as South African captain for more than a decade, and is currently blessed with a world-class unit. Besides his invaluable leadership skills, he also brings sheer guts and determination to the team through his role as opening batsman, and is indeed someone whom juniors can look up to. Under his captaincy, South Africa have not lost a series since 2008-09, and even more remarkably, have not lost an away series since 2006. He has had his share of forgettable series defeats to Australia at home, and this might just be the series to set the record straight. Australia – Michael Clarke (capt), Brad Haddin (vice-capt), Jackson Bird, Alex Doolan, James Faulkner, Ryan Harris, Mitchell Johnson, Shaun Marsh, Nathan Lyon, James Pattinson, Chris Rogers, Peter Siddle, Steven Smith, David Warner, Shane Watson. Australia are fresh from the ruthless hammering of England in the home Ashes, and face their sternest test when they square up against the mighty South Africans. Michael Clarke, just like his opposite number, will bank upon his pace attack of Mitchell Johnson, Ryan Harris and Peter Siddle to make early inroads. The top-order batting did not always look convincing against England, and that is an area Steyn and Co. will look to exploit. 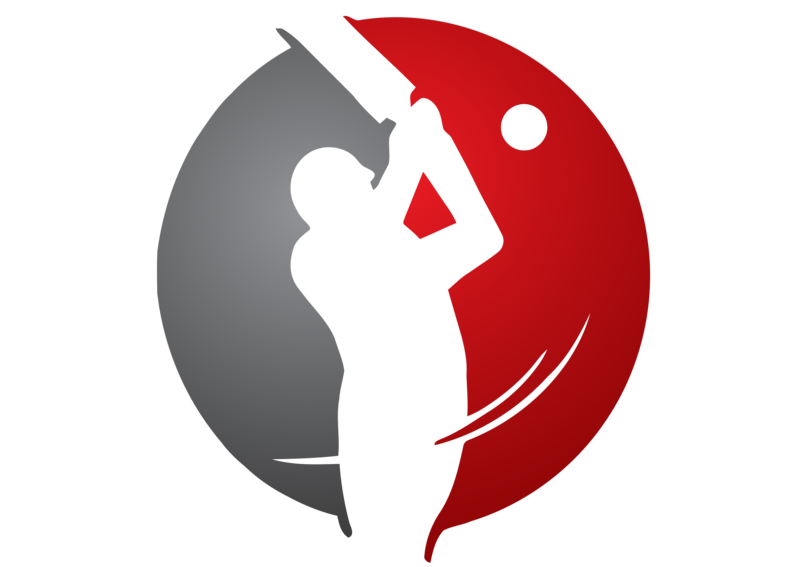 Having said that, the reliable Chris Rogers and the swashbuckling David Warner form a good opening pair, with Shane Watson, Clarke and the fast maturing Steve Smith to follow. A calf injury has ruled out Watson from at least the opening game, which means Alex Doolan and Shaun Marsh are likely to play, with one of them at No.3. Brad Haddin at No.7 brings real value to the side, as he showed time and again during the Ashes. Nathan Lyon’s off-spin was very effective against England, and forms a vital part of the bowling line-up even in pace-friendly conditions. With Clarke at the helm, Australia have been very difficult to beat at home and at the same time, have gone from ordinary to poor in overseas contests. South Africa is one place where the Australians have always enjoyed playing, and Clarke’s aggressive captaincy can pay rich dividends if his team performs the way it did against England. But then again, there is a vast difference between England and South Africa, and Clarke will have to put in all his experience if he and his team is to leave South Africa victorious. He is also the best batsman in the team, and will be expected to shoulder most of the responsibility in facing off against the world’s best bowling line-up. The third oldest international rivalry has had a rich history of memorable encounters. Australia enjoy a very good record against South Africa – in 88 Tests played, Australia have won 48 to South Africa’s 20. In South Africa, the two teams have played each other 47 times, with Australia winning 26 to South Africa’s 11. Since South Africa’s re-admission, Australia have won 19 and South Africa 9 of 35 Tests. The most recent series was played in Australia in 2012-13, when South Africa won the three-Test series 1-0. The last series in South Africa took place in 2011-12, when a two-Test series was drawn 1-1. The last time Australia won a series against South Africa was in 2008-09 in South Africa, when the visitors triumphed 2-1 in a three-Test series. This defeat also happens to be South Africa’s last series loss against any team. Australia have not lost a series in South Africa since the latter’s re-admission in 1992, winning four and drawing two of six series. South Africa have been rightfully ranked as the best team in the world since August 2012. But their unbeaten run stretches to way before that – they have not lost a single Test series, home or away, since 2008-09 (winning eight and drawing six series since then). Further, they have lost just one out of their last 25 series dating back to 2006 – a feat that even the 2000’s Australians could not manage. The Proteas’ most recent assignment was the 1-0 home success in the two-Test series against India. Before that, they came from behind to level the two-Test series against Pakistan in the UAE. In the last nine years, they have lost only two series at home, both to Australia. Their overseas record is even more awesome; they have not lost an away series since 2006. Australia are placed 3rd on the rankings table, and a series win against South Africa will put them into the 2nd position. However, their recent form suggests that they are already the second-best team in the world. The 4-0 shellacking in India a year ago was followed by a 3-0 defeat – in spite of a much-improved performance – in the Ashes in England. However, these losses were neutralised in style by a complete annihilation of a hapless England in the return Ashes at home. Australia’s last series in South Africa ended in a 1-1 draw in 2011-12, and they are yet to lose a series there since the Proteas’ return to the international fold. Australia’s last overseas series win came in the Caribbean in 2011-12. Since then, they have lost seven out of nine overseas Tests, even as their home record remained healthy. Given the result-oriented pitches and the two best bowling attacks in the world, this series is likely to be a big challenge for the batsmen. It is no surprise therefore that the series is being billed as the battle of the pace attacks. 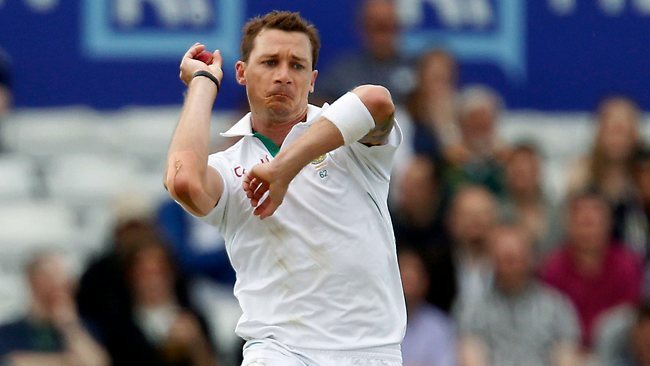 Leading South Africa’s charge will be the modern-day great Dale Steyn. He keeps on getting better and is destined to go down in history as one of the best fast bowlers of all time. In the recent series against India, Steyn was blunted a bit in the opening Test, but just when the team needed him the most, came back roaring with a nine-wicket match haul in the second Test in Durban on a not-too-helpful track. He will be looking to keep Australia’s batsmen on their toes from the word go with his breath-taking speed, away movement and potent reverse swing. 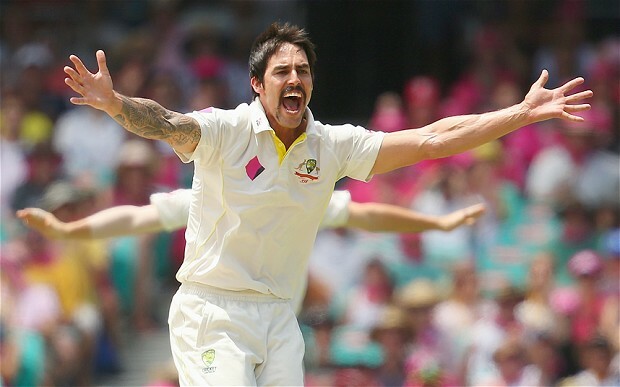 Australia’s direct answer to Steyn is Mitchell Johnson. The left-arm quick had a dream comeback in the home Ashes, where he ripped through England to take 37 wickets at 13.97 as his side cruised to a 5-0 whitewash. Written off by many over the last few years, Johnson has risen to become Australia’s bowling spearhead in a matter of three months. He also has fond memories of Australia’s 2008-09 victory in South Africa, he took 16 wickets in three Tests. Although South Africa’s batting order is much more superior to England’s, Johnson’s searing pace and bounce can bamboozle the very best on a given day. And like Steyn, Johnson is a bowler who can take the pitch out of equation, as shown during his 7/40 against England at the Adelaide Oval. South Africa definitely start favourites in this much-awaited Test battle. Even when the chips are down, this South African unit has brought out the best in them to avoid defeat, which explains their five-year unbeaten run. Australia will have their moments, but will need to do something special to win the series. I go for a 2-0 victory in South Africa’s favour. Looking forward to some top-quality Test cricket.